MOA Signing with LET'S LIGHT UP, INC. This just in! LET’S LIGHT UP, INC., represented by Director Wataru Sekiguchi, seals its partnership with Don Bosco One TVET Philippines Inc. represented by its Executive Director Fr. 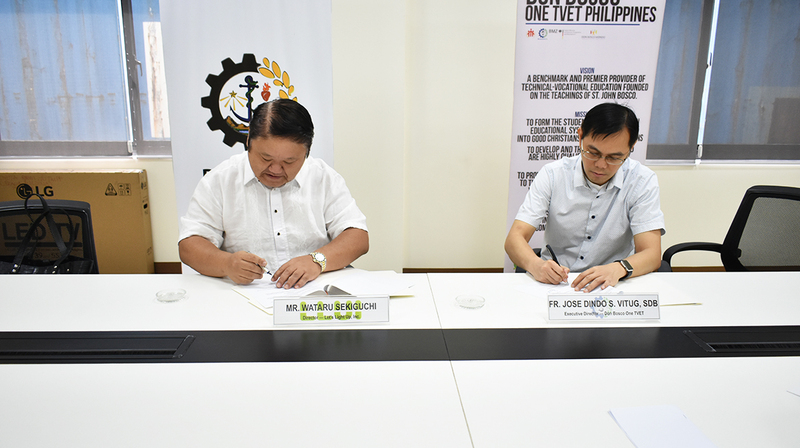 Jose Dindo S. Vitug, SDB by signing a memorandum of agreement to continue the journey of educating the youth as an industry partner for the Don Bosco TVET Centers in the Philippines. Mr. Sekiguchi started the Let’s Light Up Inc. as a collaboration with housing and commercial developers that eventually led to Tokyo Solar Business Academy and Solar water Pump System for Agriculture. The Tokyo Solar Business Academy operated a solar school having its extra cordially reliable system, provided from two-day to one year program for huge number of certificated PV sales persons & certificated PV installers to create.